The Gospel of Mark is intriguing…and UNBELIEVABLY relevant to us today. it’s been the source of some minor scandals in early church history, and is often referred to as the “short and sweet” version of Jesus’ life, love, and works. It’s filled with action words and the author knows the importance of relaying information - he doesn’t mince his words, but gets right to the point. Isn’t that what we want in our lives today? Someone that will cut through the fog and just give it to us straight? 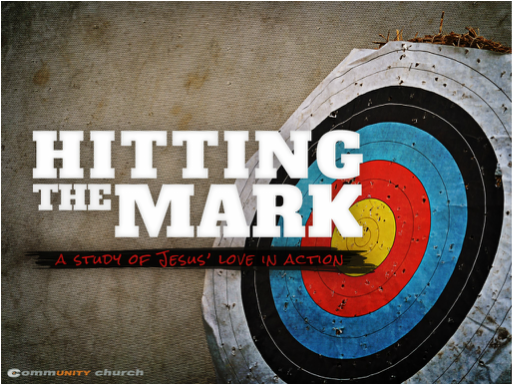 Join us as we spend most of 2015 “hitting the Mark."